The Front Room | Chicago's Pipe, Cigar & Tobacco Store | Iwan Ries & Co.
Free Wi-Fi, plush chairs, and two HD screens are just a few of the amenities available in The Iwan Ries Lounge. Whether you are looking to get some work done in The Board Room, chat with other smokers in The Front Room, or just while away a luxurious hour in the new Landmark Room, The Iwan Ries Lounge is sure to please. The Lounge is BYOB, so bring your favorite drink and enjoy a truly relaxing smoke. The Iwan Ries Lounge is available for after hours rental. Please contact Kevin or Richard for more information. After the Smoking Ban there are no Cigar Bars left in Chicago, and precious few places to smoke. 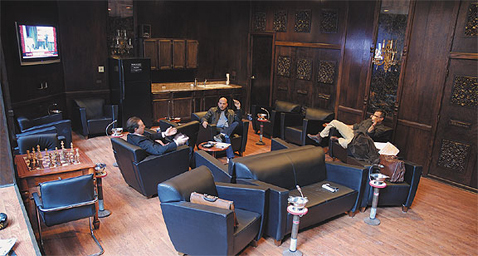 While, The Iwan Ries Lounge is BYOB, it is the best alternative to a Cigar Bar of old. 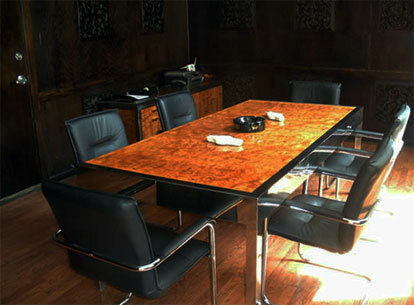 The three seperate rooms provide seperate atmospheres from Sports Bar to Classic Club Room. 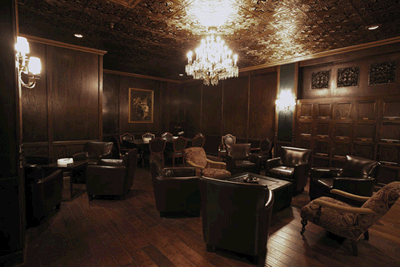 No matter what your tastes, we are certain you will enjoy your stay in Chicago's Best Smoking Lounge. Belle Meade Premium Cigar Co.
Telford's Pipe & Cigar, Inc.